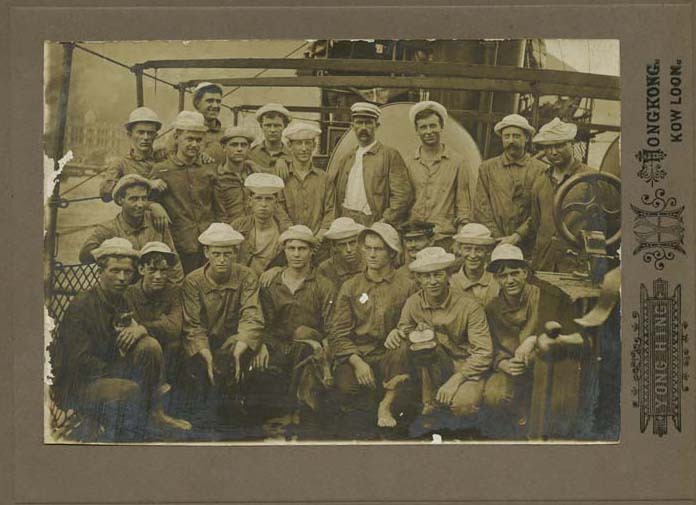 Postcard photograph of the "Deck Force," on U.S. Torpedo Boat Destroyer "Bainbridge" at Kowloon, Hong Kong. Yong Hing, “U.S. Torpedo Boat,” Chronicling Illinois, accessed April 25, 2019, http://chroniclingillinois.org/items/show/13454.